A portrait of Paulina Pedroso in a park in Ybor City. The curse of my writing life is two-fold. I dislike writing in my own house, I can do it, and I do it frequently, but whenever I do, I periodically stop to think about the dishes in the sink, the step that needs to be repaired, and all the other things I should be doing (other than honoring my love of writing). So, a lot of time, I prefer to sit in a pleasant well-lit place that serves good coffee and hack at whatever—but this opens me up to the other side of the aforementioned curse. I have a terrible but seemingly unavoidable habit of eavesdropping, and unless I’m actively pumping white noise or trashy 90’s techno through my earbuds, I am doomed to listen to every conversation around me, no matter how banal (people on first dates are the worst). But sometimes I learn something, and sometimes I hear something that jogs my memory. “You can walk to Cuba from Ybor City,” I overheard someone behind me say, while I was sitting in The Bunker tapping out yesterday’s article. They were referring to the Parque Amigos De Jose Marti (Friends of Jose Marti Park), a postage-stamp of land on 8th Avenue, across from Ybor City’s original cigar factory (now occupied by the church of Scientology). Every so often, someone reminds me of how the land was deeded to The Republic of Cuba, as a good-will gift, in 1956, and the park is still technically Cuban soil. 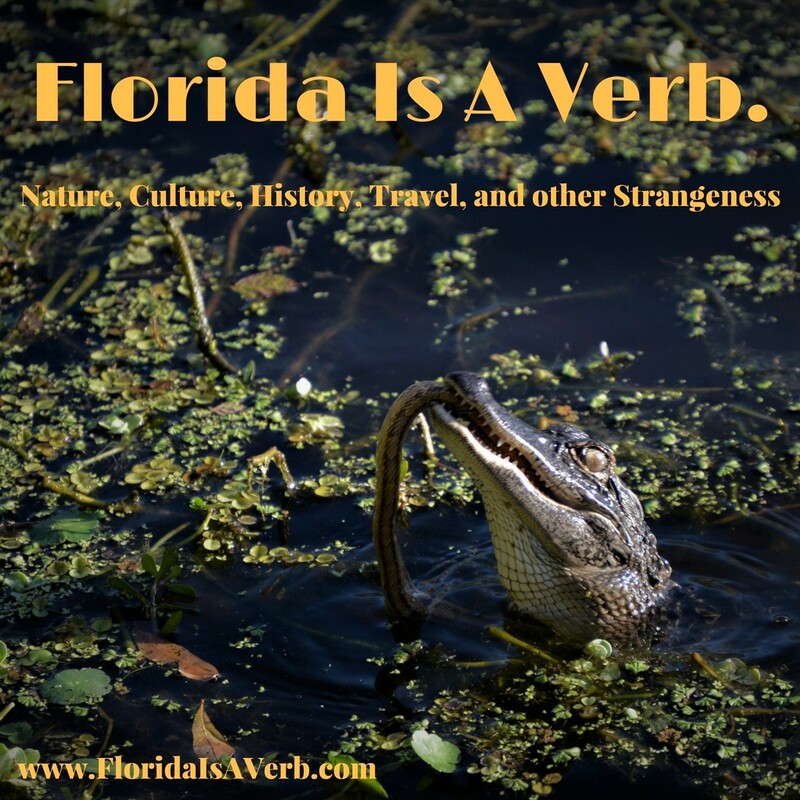 It is also literally Cuban soil; earth from Cuba’s four provinces was shipped to Tampa and incorporated into the ground when the park was created. There is, however, a catch; The Republic of Cuba no longer exists, and hasn’t since its government was overthrown by Fidel Castro in 1959. So, in a very abstract way, the only thing that remains of the Republic of Cuba is a pocket park in Ybor City. The park itself is maintained by a Cuban-American organization, but the actual ownership of the land is unclear. It is home to a concrete statue of Jose Marti, and a bronze bust of General Anotnio Maceo Grajales, the major heroes of the (first) Cuban Revolution, as well as a relief portrait of Paulina Pedroso, the Afro-Cuban revolutionary leader who ran a boarding house on the site. 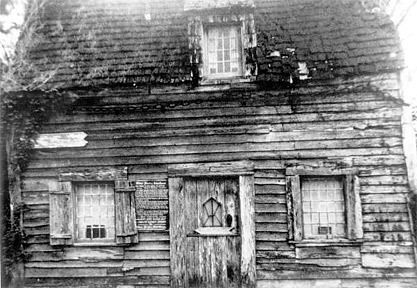 The Pedroso Boarding House on 8th Avenue. The significance of the park goes beyond the international legal abstraction of it technically being in another country. It’s an interesting curiosity, but in a way, it’s a minor footnote, a postscript to the history of the place itself. 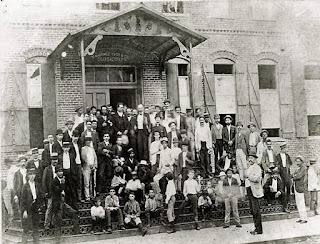 Paulina Pedroso moved to Ybor City in the early 1890’s, her husband worked in the cigar industry, and she opened a boarding house across the street from Don Vincente Ybor’s factory. Pedroso’s boarding house soon became a center of activism, as exiles plotted revolution against Spanish rule in Cuba. Pedroso and her husband Ruperto founded La Sociedad Libres, which raised money to buy guns for Cuban revolutionaries. Jose Marti visited Ybor City frequently, to raise money and recruit soldiers for the cause of Cuban independence, and whenever he was in Ybor, he stayed at the Pedroso house, often holding meetings or writing late into the night, and messages from Marti were smuggled into Cuba rolled up inside Tampa cigars. Marti once referred to Paulina Pedroso his second mother, and Ruperto Pedroso often acted as Marti’s personal bodyguard. The Pedrosos were also involved in advocating racial justice in the United States, and one account tells of Paulina Pedroso and Jose Marti holding hands while walking around Tampa, specifically to annoy racist onlookers. 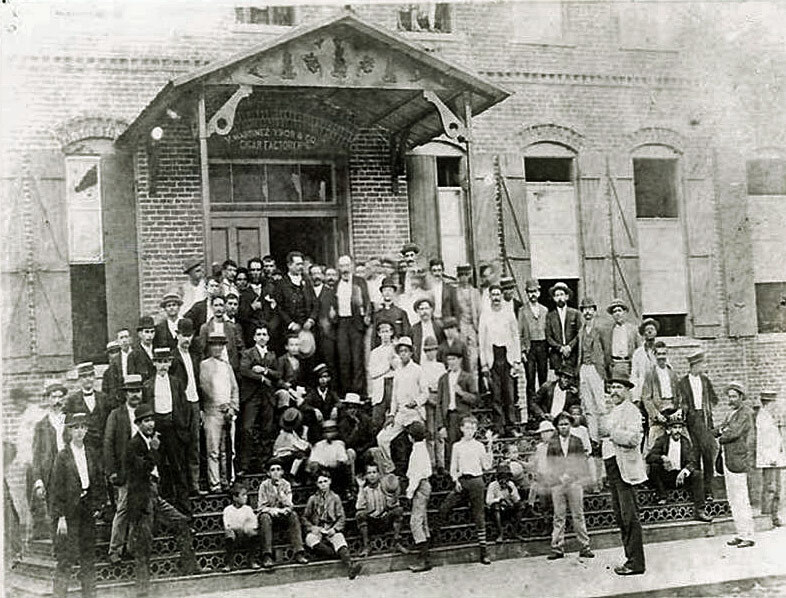 Jose Marti on the steps of Ybor's first Cigar Factory (now the Ybor Scientology Center). In 1895, when Marti was poisoned by Spanish spies, and nearly died, he stayed at The Pedroso house to recover. The story goes that when he finally emerged from the home, after spending weeks sick in bed, he gave a brief speech at the front door, specifically to forgive his would-be assassins. Later that year, Marti was killed leading a charge at the Battle of Dos Rios, the first battle of the revolution. Though General Maximo Gomez advised him to stay behind, Marti felt that it was his responsibility to lead the first charge, and since he was a lawyer and a poet, not a military officer, Marti rode into battle wearing his usual black suit and tie.